Finnish based HEI Schools is globalizing Nordic wellbeing through the lens of early education. Backed by academics at the University of Helsinki, HEI Schools is delivering the acclaimed Finnish model to early education operators all over the world. Nordic countries top polls year after year as the happiest in the world. 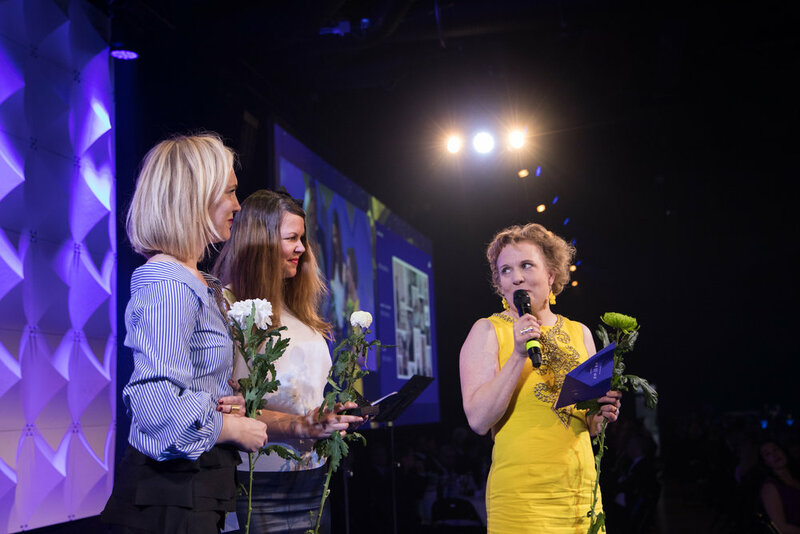 Values such as creativity, trust, compassion and sustainability, all building a high quality of life with education as a cornerstone to Nordic wellbeing. Studies consistently prove that a solid foundation during early years has a lasting, lifelong impact. HEI Schools is a highly designed, research based licensing model established for local partners to provide the best in early childhood education. A complete school package including the curriculum, teacher training, learning environment design, curated learning materials and operational support. All created with co-founder University of Helsinki in 2016 together with experts in education and design – a perfect harmony of Finnish pedagogy and Nordic design delivered to the world. The first HEI Schools opened in Baotou, China in 2017 with a 4,500 square meter space for 300 children from the ages of 3-6. Success has been seen and felt by the parents of Baotou with positive changes in their children and homelife as well as within their community. Rapid growth and desirability for the concept in different markets shows, that HEI Schools is filling a need by providing a model not based on heavy stress, ranking and competition, but on individual success and holistic development of the child – still not compromising academic achievement. HEI Schools is now seeking growth in new markets after four successful projects in Baotou and Guangzhou in China, Melbourne, Australia and Helsinki, Finland. New HEI Schools in Shanghai, Chengdu and Beijing, China, Korea, Argentina, Saudi Arabia and Kuwait City will be open during 2019-2020. North America will be one of the main focus areas for new partners and market opening during 2019. “HEI Schools was developed to offer high quality early childhood education for as many children and families in the world as possible. It would be actually quite easy to build a great school for 2% of the wealthiest people, but we truly are seeking for a model to serve the many, not the few” says CEO of HEI Schools, Milla Kokko. Working together to increase global awarenessof Finnish education and Nordic design. Previously holding a CMO position in the management group with Finnish design company Marimekko as well as other VP level positions with iconic Finnish design and lifestyle companies such as Fiskars and Lumene Group, Päivi Paltola brings vast experience growing and building high quality brands internationally. Says Milla Kokko, CEO at HEI Schools, “Päivi Paltola´s role as strategic advisor is very valuable for us at HEI Schools where we are modeling Finnish methods of education together with the Nordic heritage of high quality design for all. Her extensive background with major Scandinavian brands coupled with her expertise in business strategy is paramount to our mission of delivering scalable, high quality early childhood education”. HEI Schools continues to focus on expansion with a concentration on Asia and the USA, cultivated markets for Päivi. “I am thrilled to join HEI Schools, they are really doing something unique within the landscape of education worldwide. Promoting the growth of Nordic culture is important to me on both a personal and professional level and this new role truly supports both”, says Päivi Paltola. Paltola will start the position as of January 2019. HEI Schools Guangzhou in Southern China opened its doors just this week, in a newly renovated building with lots of space and light. The beautiful 250 children capacity school is run by a local owner and teachers as well as two temporary Finnish teachers, pedagogical director Anna-Maija Kuokkanen and teacher Tiia Sääksjärvi. HEI Schools Guangzhou opening also gained national interest with the Finnish national public service broadcasting company YLE. A story about HEI Schools and HEI Guangzhou was broadcast on national TV news on October 18th, 2018 as well as on the YLE website: https://yle.fi/uutiset/3-10460123. Mandy Chao from China chose a Finnish kindergarten for her daughter. She wanted her child to have fun at kindergarten and where: “she is allowed to have her own opinion”. The middle class in developing countries is growing at a fast pace. Parents are paying up to 1,000 euros a month for childcare. Forest Hu just opened a Finnish kindergarten in Guangzhou China this week. It is the first of its kind to open in this southern Chinese city with millions of inhabitants. There are several British and American kindergartens catering to a population wanting more high quality education. Forest Hu became interested in Finnish pedagogy when she was studying economics and pedagogy at the University of Hong Kong. Finnish early childhood education is highly regarded worldwide compared to other methods. Government officials, educational professionals and parents are all interested in the Finnish early childhood education model. The kindergarten is operating in a newly renovated building with lots of space and light. There are 4 children playing in the space including Mandy Chao’s 4 year old daughter Cindy. Chao chose a Finnish kindergarten because she wants her child to have fun at her kindergarten. Here children are more free than in a chinese kindergarten. They are allowed to have their own opinion and choose what they want to play. Chao is impressed that within the Finnish model teachers obtain information about the children directly from their parents. When educators understand more about their students they can individually cater to each student, that is what I want for my child. Currently, the director’s goal is to fill all 250 places with the doors open for all interested parents. The Finnish education model has a good reputation in China, but parents are still reticent to adapt a new method for their children’s education. Parents want the newly renovated building to have adequate time to ventilate before the children start school to ensure the cleanest, healthiest environment for their children. The building renovations were completed one month before classes began for the students. The safety of children is a major concern for Chinese parents. They want all the table edges to be covered and soft along with knowing how many security cameras and guards will be monitoring their children. Security cameras are common in Chinese kindergartens and many parents are able to watch their children’s activities live throughout the school day. At Hu’s kindergarten she will install security cameras, but her hope is that the parents will have trust in the safety of her kindergarten even without the cameras. In Finland, it is not common to use security cameras in kindergartens. 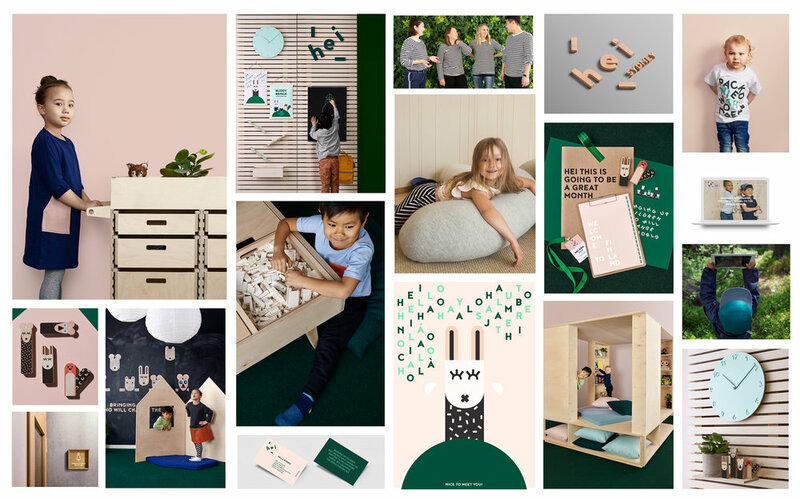 Forest Hu’s kindergarten follows the pedagogy of the new start up, HEI Schools that partners with the University of Helsinki to bring the Finnish model of early childhood education to the world. HEI Schools works with local operators, both public and private, opening schools globally. In September 2017, the company founded it’s first kindergarten in Baotou China now with over 100 students. In both Guangzhou and Baotou there is a Chinese kindergarten director as well as a Finnish pedagogical director. In Guangzhou, Forest Hu is both a co owner and director working along with Finnish pedagogical director, Anna-Maija Kuokkanen. Anna-Maija explains that Chinese parents are still quite skeptical if the Finnish model gives their children the best foundation despite having the best reputation in education. Education Finland is a part of the Finnish national agency for education to promote the export of education. Offering early childhood education all the way through to higher education. 92 member companies in total with 7 companies offering primarily early childhood education. Member companies report a revenue of 310 million euros in 2017 with a 16% growth rate. In China there is a lot of competition for entrance into the best schools. Prospective students are subject to rigorous testing of their memorization, english language, music and mathematic skills for private school entrance. Kuokkanen has the answer for Chinese parents in the HEI Schools model combining local features with Finnish pedagogy. We have our own curriculum, but we also take the local needs into consideration. The middle class in Guangzhou are wealthy and parents are willing to pay for the best education for their children. At Forest Hu’s new kindergarten the monthly tuition is 1,000 euros a month, which is in line with similar area kindergarten fees. In the future, more and more Chinese families will want internationally branded education for their children. This story has been published in https://yle.fi/uutiset/3-10460123 and shorten to the HEI Schools news. Originally written in Finnish by Journalist Ulla Manninen and translated by Tiina Daifi and Pamela Lewis. With a new multi-unit contract signed, two new HEI Schools in Chengdu and Shanghai are confirmed to open in the fall of 2019. This is an extension to the HEI Schools China family with schools already in in Guangzhou (see news about HEI Guangzhou below) and Baotou. The Baotou school was the first HEI Schools in China. After a full year of operations, HEI Schools Baotou now has 20 teachers and 100 children. The Finnish school system has generated great interest in China and now the HEI team is looking forward to expanding the network of HEI Schools in the rest of the country. The first HEI Schools in Helsinki, in the popular city district of Ruoholahti, opened its doors in August! The first group of children has already started their first term, and with a growing number of children, the school is actively recruiting more teachers. HEI Ruoholahti has capacity for 80 children.